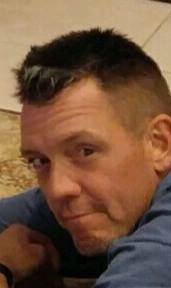 MASURY Arthur M. Beyer, 44, died Monday morning March 25, 2019 at his home. He was born April 5, 1974 in Morristown, NJ a son of Arthur F. Beyer and Suzan DeBouter. Mr. Beyer was a delivery inspector for Uniserv. He attended the 614 Church in Masury and enjoyed working with his hands building anything, walking his dog and especially loved being with his daughter. He leaves his father and stepmother, Arthur F. and Elfrieda Beyer of Wellington, FL and his mother and stepfather, Suzan and Bill Walker of Brookfield; a daughter, Jessica E. Beyer of Masury; a brother, Mark Beyer and his wife Stacy of Royal Palm Beach, FL; grandmother, Doris Walker of Hubbard; many aunts and uncles and a niece, Adyson Beyer and a nephew Tyler Beyer.